Putnam Development Authority has recently developed a series of innovative financial tools and incentives to assist companies that are considering locating or expanding in Eatonton and Putnam County. The State of Georgia also offers statutory Incentives to support your project. Georgia provides a statewide job tax credit for any business or headquarters of any such business creating net new jobs for Georgia and engaged in in strategic industries such as manufacturing, warehousing & distribution, processing, telecommunications, broadcasting, tourism, research and development industries, biomedical manufacturing, and services for the elderly and persons with disabilities. The amount of the per-job tax credit depends on the community’s designated tier. Putnam County is a Tier 2 community. New full-time jobs that exceed 10 in a calendar year and meet the criteria would qualify for job tax credits of $3,000/job for 5 years. The credit would be applied to your corporate income tax liability and then to withholding. For new full-time jobs located the South Industrial Park (Less Developed Census Tract #9602.02) and the Rock Eagle Technology Park (Less Developed Census Tract #9602.01), the minimum net new full-time jobs required to qualify for job tax credits is 5 in a tax year and you would qualify for $3,500/job for 5 years. The credit would be applied to your corporate income tax liability and then to withholding. The Port Tax Credit Bonus is available to taxpayers who qualify for the Job Tax Credit or the Investment Tax Credit, and increase imports or exports through a Georgia port by 10 percent over the previous or base year. Base year port traffic must be at least 75 net tons, five containers or 10 TEUs (twenty-foot equivalent units); if not, the percentage increase in port traffic will be calculated using 75 net tons, five containers, or 10 TEUs as the base. The Port Tax Credit bonus can be used with either the Job or the Investment Tax Credit program, provided that the company meets the requirements for one of those programs. Port Tax Credits may be used to offset up to 50 percent of the company’s corporate income tax liability. Unused credits may be carried forward for 10 years, provided that the increase in port traffic remains above levels established in year one for eligibility and that the company continues to meet the job or investment tax credit requirements. Note that the Port Tax Credit Bonus cannot be utilized with the Quality Jobs Tax Credit. Port Tax Credits are subject to program requirements as outlined in O.C.G.A. § 48-7-40.15. Companies may receive Quality Jobs Tax Credits (QJTC) if, during a 12-month period, they create and maintain at least 50 net new jobs that pay at least 110 percent of the county’s average wage. The QJTC value ranges from $2,500 to $5,000 per job, per year, for up to five years. After qualifying, a company can earn additional QJTC credits ($2,500 to $5,000 per job, per year, for up to five years) over the next seven years by creating and maintaining additional qualifying jobs. New jobs created after the seven-year period ends do not earn QJTC credits unless the project creates at least 50 net new qualifying jobs in a 12-month period again to begin another seven-year cycle. QJTC may be applied against 100 percent of the state corporate income tax liability, and once that liability has been exhausted, the credits may be used to offset the company’s state payroll withholding. Claimed but unused credits may be carried forward for 10 years from the close of the taxable year in which the qualified jobs were established. New jobs that do not meet the requirements for the QJTC may count toward Job Tax Credits if they meet the eligibility requirements for that program separately. For current average county wages, visit Explorer.DOL.State.GA.US/mis/Current/ewcurrent.pdf. QJTCs are subject to requirements outlined in O.C.G.A. § 48-7-40.17 and rules published by the Georgia Department of Revenue in regulation 560-7-8-.51. Georgia offers an incentive to new and existing business entities performing qualified research and development in Georgia. Qualified research expenses are defined in Section 41 of the Internal Revenue Code of 1986, as amended, except that all wages paid and all purchases of services and supplies must be for research conducted within the state of Georgia. Companies may claim a 10 percent tax credit of increased R&D expenses subject to a base amount calculation. The base amount = Current Year Georgia Gross Receipts x [(the average of the ratios of the company’s qualified Georgia research expenses to Georgia gross receipts for the preceding three taxable years) OR 0.300, whichever is less]. For new Georgia companies or for companies with no prior R&D expenditures in Georgia, the base amount is 30 percent of the current year’s Georgia gross receipts. The credit is determined by taking the current year’s qualified R&D expenses, subtracting the base amount, and multiplying by 10 percent. The R&D credit is applied to 50 percent of the company’s net Georgia corporate income tax liability after all other credits have been applied. Any excess R&D credits can then be applied to the company’s state payroll withholding. Any unused credits can be carried forward for up to 10 years from the close of the taxable year in which the qualified research expenses were made. Research and Development Tax Credits are subject to program requirements as outlined in O.C.G.A. § 48-7-40.12. The Georgia Department of Labor (GDOL) coordinates the federal Work Opportunity Tax Credit Program. The WOTC program is a federal tax credit incentive that the U.S. federal government provides to private-sector businesses for hiring individuals from nine target groups who have consistently faced significant barriers to employment. Participating companies are compensated by being able to reduce their federal income tax liability with a tax credit between $1,200 to $9,000 per qualified employee, depending on the target group. For more information visit: DOL.State.GA.US/em/learn_about_tax_credits_and_incentives.htm. The Child Care Tax Credit is for employers who purchase or build qualified child care facilities, or who provide or sponsor child care for employees. For employers who purchase or build a statelicensed facility, the credit is equal to 100 percent of the cost of construction, which is earned over 10 years (10 percent each year). Unused credits can be carried forward for three years. Employers who provide or sponsor child care at a state-licensed facility are eligible for a credit equal to Mitsubishi Hitachi Power Systems 75 percent of the employer’s direct costs. Credits that are related to providing or sponsoring child care may be carried forward for five years. All child care tax credits can be applied to 50 percent of the corporate income tax liability. Child Care Tax Credits are subject to program requirements as outlined in O.C.G.A. § 48-7-40.6 and rules published by the Georgia Department of Revenue in regulation 560-7-8-.38. Effective January 1, 2017, Georgia offers a $2,500 per person tax credit for hiring an individual granted parole within 12 months of his or her date of hire. This credit, which can be used in addition to any job tax credits that the company may be eligible for with the position, can only be used once per individual, and there is a per-employer limit of $50,000 for each tax year. The credits are applied to 100% of state corporate income tax liability, with the ability to carry forward any excess credits for three years. Employers from any industry are eligible for the tax credit, but the company can only claim the tax credit if it pays the individual at or above the average wage of the county with the lowest average wage in the state ($471/week as of June 2016). Parolee Tax Credits are subject to program requirements as outlined in O.C.G.A. 48-7-40.31 and rules published by the Georgia Department of Revenue in regulation 560-7-8-.58. The Georgia Entertainment Industry Investment Act offers an across-the-board flat tax credit of 20 percent based on a minimum investment of $500,000 on qualified productions in Georgia. The $500,000 minimum expenditure threshold can be met with one or the total of multiple projects aggregated. An additional 10 percent uplift can be earned by including an embedded, animated Georgia logo and web link on the project’s promotional webpage, or through approved alternatives if they offer equal or greater marketing opportunities for the state. Qualified expenditures include materials, services and labor. Interactive entertainment companies will be eligible for this credit only if their gross income is less than $100 million. The maximum credit for any qualified interactive entertainment production company and its affiliates will be $5 million. The total credits available for interactive entertainment production companies and their affiliates will be capped at $25 million each year and will be awarded on a first-come, first served basis. This income tax credit may be used against Georgia income tax liability or the company’s Georgia payroll withholding. If the production company chooses, they may make a one-time sale or transfer of the tax credit to one or more Georgia taxpayers. Film, Television and Interactive Entertainment Tax Credits are subject to program requirements as outlined in O.C.G.A. § 48-7-40.26. Georgia helps companies lower their cost of doing business by offering the ability to purchase various types of goods and services tax free. These sales tax exemptions are defined in O.C.G.A. § 48-8-3, 48.8-3.2 and 48-8-3.3. Manufacturing machinery and equipment that is integral and necessary to the manufacturing process and used in a manufacturing facility located in this state is exempt from sales tax. Qualifying machinery or equipment must be purchased for a new manufacturing facility, as replacement machinery in an existing manufacturing facility, or for the upgrade or expansion of an existing manufacturing facility. The sale or use of repair or replacement parts, machinery clothing, molds, dies, waxes or tooling for machinery that is necessary and integral to the manufacture of tangible personal property in an existing manufacturing plant is exempt from taxation. Materials used for further processing, manufacture or conversion into components of a finished product; materials coated upon or impregnated into a product being manufactured for sale; and non-reusable materials used to package products for sale or shipment may be purchased tax-free. The sale, use, storage or consumption of energy that is necessary and integral to the manufacturing process is exempt, except for the portion dedicated to education (in most cases 1%, but there are a few communities with 0% or 2% dedicated to education). This includes energy used directly or indirectly in a manufacturing facility. Specifically, energy means natural or artificial gas, oil, gasoline, electricity, solid fuel, wood, waste, ice, steam, water and other materials necessary and integral for heat, light, power, refrigeration, climate control, processing or any other use in the manufacture of tangible personal property. Counties and municipalities have the option of passing a local excise tax of the value of the local portion of sales and use tax being exempted (in the majority of cases 3%, but the value can vary from 2% to 4%). Machinery and equipment used to handle, move or store tangible personal property in a new or expanded distribution or warehouse facility where the total purchase or expansion is valued at $5 million or more is exempt. The distribution or warehouse facility may not have retail sales equal to or greater than 15% of the facility’s total revenues. The sale of machinery and equipment and any repair, replacement or component parts for such machinery and equipment which is used for the primary purpose of reducing or eliminating air or water pollution is exempt. The sale of certain computer equipment is exempt when the total qualifying purchases by a high technology company in a calendar year exceed $15 million. A high technology company must be classified under certain relevant North American Industry Classification System codes. Machinery, equipment and materials used in the construction or operation of a clean room of Class 100 or less when the clean room is used directly in the manufacture of tangible personal property is exempt. The sale of water delivered through mains, lines or pipes is specifically exempt. Local exchange telephone service is subject to sales and use tax. All other call service types (VoIP, long distance) are not. The state of Georgia has no property tax on inventory or any other real or personal property. 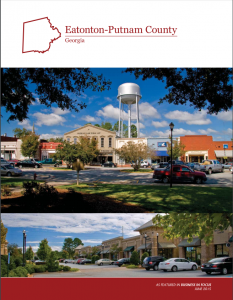 Under Georgia’s Level One Freeport law, counties and municipalities have the option of enacting a local property tax exemption for four different classes of inventory. The local government can exempt the property at 20, 40, 60, 80 or 100 percent of the value. The fourth class of goods, inventory at an e-commerce fulfillment center, was created by the Georgia legislature in 2016. Class One: Inventory of goods in the process of being manufactured or produced including raw materials and partly finished goods. Class Two: Inventory of finished goods manufactured or produced within this state held by the manufacturer or producer for a period not to exceed 12 months. Class Three: Inventory of finished goods on January 1 that are stored in a warehouse, dock or wharf which are destined for shipment outside this state for a period not to exceed 12 months. Local governments can also hold a referendum to approve Level Two Freeport, which would extend the exemption to any inventory or real property not covered by Level One, including retail inventory. Level One and Level Two Freeport Exemptions are outlined in O.C.G.A. 48-5-48.1, 48-5-48.2, 48-5-48.5, and 48-5-48.6. Putnam County has 100% exemption on both Level One and Level Two Freeport. In order to receive Freeport Tax Exemption, companies must file with the Putnam County Board of Tax Assessors each year by April 1st. Georgia is home to multiple FTZ sites and is a recognized leader in working with companies to facilitate use of the program. Importing and exporting are central to many businesses’ success, and the program streamlines those activities and lowers costs. The FTZ program allows qualified companies to defer, decrease or eliminate duties on materials imported from overseas that are used in products assembled in Georgia. Whether a company’s needs are best served by locating in one of Georgia’s industrial parks with FTZ designation, or applying for FTZ designation of an individual facility located elsewhere in Georgia, GDEcD can provide the right contacts to assist with the process. Georgia’s environmental permitting program is consolidated with the U.S. Environmental Protection Agency (EPA) for the issuance of federal permits; a one-stop process that provides a faster turnaround than in states that must rely on U.S. EPA to issue permits. The director of the Environmental Protection Division (EPD) of the Georgia Department of Natural Resources is authorized to grant all permits provided for by EPD-enforced laws, including the Federal Clean Water, Clean Air and Safe Drinking Water Acts. Major regulatory programs currently assigned to EPD include air quality control, water quality control and withdrawal, hazardous waste management, solid waste management and wastewater land application. Georgia’s one-stop permitting reduces government red tape and enables companies to acquire required permits more quickly. In addition, Georgia EPD offers optional, fee-based, expedited air quality permitting for projects with very short lead times. The Workforce Division (WFD) of the Georgia Department of Economic Development is focused on ensuring that education and training in Georgia is geared toward in-demand jobs. WFD plays a critical role in maintaining Georgia’s distinction as the No. 1 state in the nation to do business. Georgia’s Department of Labor (GDOL) assists employers with recruiting qualified employees by posting notices of their job openings, collecting and screening applications and resumes, referring qualified applicants to the employer for employment interviews, providing office space for interviews, and hosting job fairs and/or individual recruitments. The department’s Business Services Unit will plan and execute customized recruiting for new companies. The GDOL also works with private employment agencies that list job openings with the state. As the No. 1 workforce training program in the country, Quick Start develops and delivers fully customized, strategic workforce solutions for qualified companies investing in Georgia. Quick Start helps companies assess, select and train the right people at the right time for success. Services are provided free of charge as a discretionary incentive for job creation for clients opening or expanding manufacturing operations, distribution centers, headquarters operations and customer contact centers in a broad range of industries. Strategic workforce consultation – Quick Start’s training professionals work with company subject-matter experts to guarantee training meets business goals. Pre-employment assessment – Helps companies assess candidates according to their own defined criteria and preview their skills. Customized post-employment and job-specific training – From fundamental knowledge to supervised on-the-job training on a company’s own technology and processes, Quick Start prepares employees for maximum effectiveness and efficiency. Leadership and productivity enhancement training – Businesses maintain competitiveness and emphasize continuous improvement for all team members with Quick Start’s guidance. Part of a company’s direct investment in training fulltime employees can be claimed as a tax credit. The credit is available to all Georgia businesses that file a Georgia income tax return. The retraining tax credit value is calculated at 50 percent of the employer’s direct costs, up to $500 per employee per approved retraining program per year. The total amount of credit for one employee cannot exceed $1,250 per year. Retraining Tax Credits are subject to program requirements as outlined in O.C.G.A. § 48-7-40.5. For a detailed guide on these credits, visit GeorgiaQuickStart.org/econdev/retrain.html. HOPE — Helping Outstanding Pupils Educationally – is Georgia’s unique scholarship and grant program that rewards students with financial assistance in degree, diploma and certificate programs at eligible Georgia public and private colleges and universities, and public technical colleges. The HOPE Scholarship is available to eligible Georgia students who meet academic requirements, and covers a substantial percentage of tuition costs for degree programs in Georgia’s public colleges and universities. The HOPE Grant provides tuition assistance to eligible Georgia residents seeking a technical degree or certificate at one of Georgia’s technical colleges. Eligibility is not dependent upon high school GPA and is open to students enrolled in a technical college who have not already earned a bachelor’s degree. These programs can be advantageous to relocating families with children, and for companies training employees through local technical colleges. Each year, more than 90,000 degrees are earned through Georgia’s public and private colleges and universities. These institutions connect employers with their students and graduates through career services centers, which facilitate internships and co-ops, as well as provide employers with recruiting opportunities. Employers can contact individual colleges and universities, the University System of Georgia, the Technical College System of Georgia and the Georgia Independent College Association to learn more. The Strategic Industries Workforce Development Grant (SIWDG) is a state-funded grant that provides financial support for Technical College System of Georgia (TCSG) students in majors that prepare students for high-demand careers. The SIWDG supplements the HOPE Grant, resulting in free tuition, as well as some of the cost of books and fees. There are more than 125 different TCSG majors to choose from in the 12 SIWDG program areas. have operated a corporate office or other support facility for a manufacturing or telecommunications company in Georgia for at least three years, and make a minimum $50,000 investment in a new or existing manufacturing or telecommunications facility in Georgia. The duration of a project shall not exceed three years unless expressly approved in writing by the Commissioner of the Georgia Department of Revenue. This credit may be applied against 50 percent of state corporate income tax liability and carried forward for 10 years. To be eligible to receive the credits, a taxpayer must submit a written application to the Georgia Department of Revenue requesting approval of the project plan no later than thirty (30) days after the completion of the project. Taxpayers may claim only one of the job or investment tax credits for a given project. Investment Tax Credits are subject to program requirements as outlined in O.C.G.A. § 48-7-40.2, 48-7-40.3, and 48-7-40.4 and in rules published by the Georgia Department of Revenue in regulation 560-7-8-.37. Example – Putnam County is currently Tier 2. Taxpayer in Putnam County invests $5 million in a manufacturing plant plus $1 million in recycling equipment. Taxpayer is eligible for an $200,000 tax credit to reduce or eliminate Georgia income tax. [$5 million x 3%] + [$1 million x 5%] = $200,000. Investment tax credits can be used against 50% of income tax liability in a given year. Unused credits may be carried forward 10 years. Exclusive to Georgia, the Centers of Innovation provide the technical industry expertise, collaborative research and partnerships to help the state’s strategic industries connect, compete and grow globally. As a division of the Georgia Department of Economic Development, the six individual centers operate statewide with a focus on: Aerospace, Agribusiness, Energy Technology, Information Technology, Logistics and Manufacturing. The International Trade Division provides Georgia businesses with free export services including market intelligence, key in-country contacts and cost-effective international opportunities to help them diversify and grow. The division leverages the state’s international representatives in 11 strategic global markets – Brazil, Canada, Chile, China, Colombia, Europe, Israel, Japan, Korea, Mexico and the UK and Ireland – providing customized export services and solutions. Global Insight – Providing knowledge including the “how-to’s” of exporting, industry-specific and country-specific data. Services include research, export education, consultations, market assessments and partner resources. Global Connections – Matching Georgia suppliers with international buyers/representatives. Accomplished through international and domestic tradeshows, trade missions, incoming buyer delegations, in-country matching, business partner identifications and Trade Opportunity Alert notifications. Small businesses can qualify for many of the programs outlined in this brochure. In addition, Georgia offers several programs specifically designed to meet the needs of small businesses and entrepreneurs. Georgia offers an income tax credit for qualified investors who invest in certain qualified businesses in Georgia. The credit is claimed two years after the investment is made. The credit is 35 percent of the investment with an individual investor cap of $50,000 per year. O.C.G.A. 48-7-40.30. HUBZone is a United States Small Business Administration (SBA) program for small companies that operate and employ people inHistorically Underutilized Business Zones. The HUBZone Program stimulates economic development and creates jobs in urban and rural communities by providing Federal contracting preferences to small businesses. These preferences go to small businesses that obtain HUBZone certification in part by employing staff who live in a HUBZone. The company must also maintain a “principal office” in one of these specially designated areas. Company must be a small business by SBA standards. Have its principal office must located within a “Historically Underutilized Business Zone,” which includes lands consideredqualified census tracts; qualified non-metropolitan counties; lands within the external boundaries of an Indian reservation; and military facilities closed by the Base Realignment and Closure Act. Have at least 35% of its employees residing in a HUBZone. The EB-5 Visa for Immigrant Investors is a United States visa created by the Immigration Act of 1990. The EB-5 Visa provides a method of obtaining a Green Card (Permanent Residence) for foreign nationals who invest money in the United States which in turn creates or preserves US jobs. Putnam County is a Targeted Employment Area (TEA) for EB-5 Visa purpose which allows $500,000 USD investment rather than the regular $1 Million USD to qualify for the program.